We all know that “Prevention is better than cure”. In order to enjoy a healthy lifestyle, a regular medical check up is very essential to detect problems early. Just as the beginning of pre-school is a big step for the child, the pre-school medical check-up is also a big one. 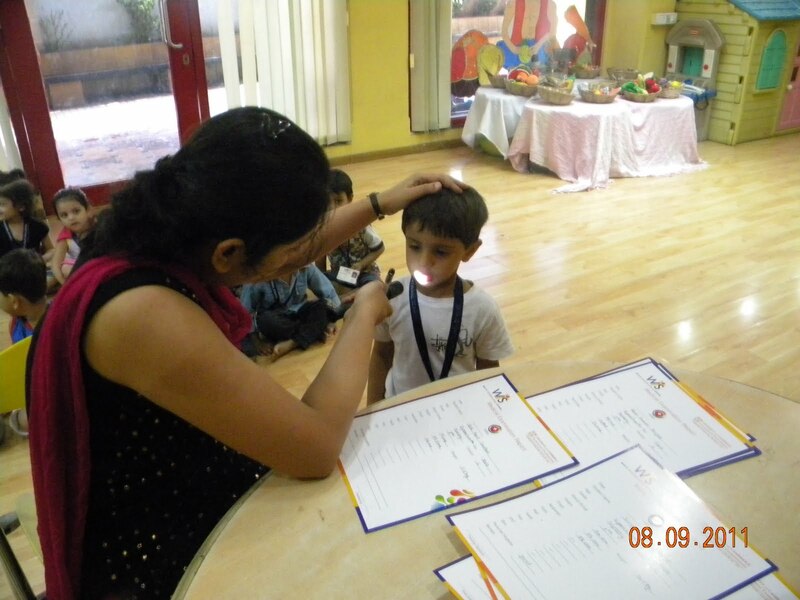 The students of Playgroup & Nursery had a thorough medical and dental examination by Dr. Purvi Mehta & Dr Viral Parikh respectively, on 8th & 9th September 2011. This will serve as a personal medical record for future reference to parents as well. On behalf of WIS, we would like to thank both the doctor’s for lending us their precious time out of their busy schedule.